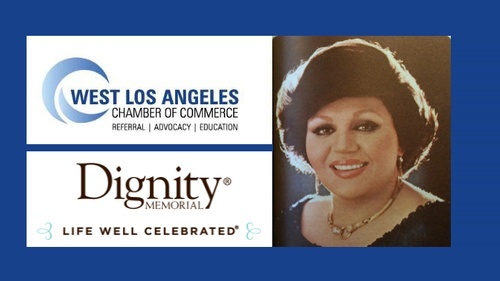 Pierce Brothers Westwood Village Memorial Park & Mortuary (a Dignity Memorial) and The West Los Angeles Chamber of Commerce presents the Second Annual Celebration of the pop singer, Hayedeh. Ma’soumeh Dadehbala or more commonly known as Hayedeh , was a Persian singer with a mesmerizing and captivating voice. She sang Persian classical, folk and pop music. Pierce Brothers and the West Los Angeles Chamber of Commerce collaborated to give back to the community and the results we astounding. There were hundreds in attendance for a truly festive afternoon. Live radio coverage and various media outlets covered the celebration of a life well lived. The celebration brought out the local Persian community as well as county officials and our district councilman. Keyvan Noori one of Hayedeh’s son’s was impressed with the celebration and was moved by the community that came out to share and support the celebration. Through a partnership between Stanley Scott, Funeral Home Manger, and Roozbeh Farahanipour President of The West Los Angeles Chamber, the Hayedeh fan club was founded. The venue for the celebration will be at Pierce Brothers Westwood Village Memorial Park & Mortuary. A 2 ½ acre cemetery nestled in the heart of Westwood. Hayedeh visited often and as her resting place is admired by many. As we move forward and continue to honor Hayedeh we are looking forward to the participants from last year as well as new comers to help celebrate a life lived and well celebrated.